Specify a designee to handle representation in all ICWA matters. Make sure ICWA matters are handled in a timely and organized manner. 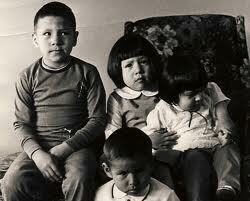 Have a central phone number that is dedicated to ICWA and child welfare matters. Ensure ICWA advocates, tribal attorneys or legal counsel understand ICWA and the tribe's children's codes. Make the commitment to have representation by ICWA advocates or tribal attorneys to appear in court for every hearing. If they cannot appear inperson it is recommended that they appear via Skype, phone, or other forms of communication. Always intervene in a case even if only for purposes of monitoring the case. It's important to make this decision as soon as possible. The tribe should always intervene in writing so that it can become a party to the case. Encourage the Tribal Council designee that will be dealing with ICWA matters to have a close relationship with the Enrollment Department. This will allow the tribe to determine eligibility for membership and enrollment in a quick and timely manner. Ensure proper documentation and record keeping for all ICWA cases. "When you are in need, the qanruyun [words of wisdom] makes you like an old man or woman, clothes you, gives you a cane, and brings you where you wouldn't think to go. The qanruyun holds your hand and takes you." from the Wise Words of the Yup'ik People by A. Fienup-Riordan.